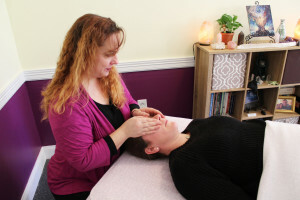 Reiki Phoenixville PA: Reiki is an ancient Japanese system of energy healing that promotes relaxation and aids the body in relieving stress. When your body is tired or stressed, it is more likely to succumb to illness or disease. Reiki promotes your body’s natural healing process through enhanced relaxation, helping you maintain and improve your overall health and well being. Wellness in Harmony offers Reiki treatments in our main office near Phoenixville PA and remotely. Wellness in Harmony is located at YogaLife Institute: 860 E. Swedesford Rd. Wayne PA 19087. Sessions available in Phoenixville upon request. Check out our package options here. Reiki training classes also available. Click here for upcoming classes. Wellness in Harmony is located at YogaLife Institute: 860 N. Swedesford Rd. Wayne PA. In home Reiki sessions are also available for an additional fee. Sessions are offered in Phoenixville or remotely upon request. Click here or call 484-354-0499 to schedule today. When you arrive for your session, the practitioner will your session will begin with a brief intake interview and assessment. Following this, you will be asked to lie down on a massage table for your Reiki treatment. You will remain fully clothed throughout the session. You will remove your shoes and any jewelry you may be wearing. We recommend that you dress in loose fitting, comfortable clothing. During the Reiki treatment, the practitioner will gently place her hands on or just above your body, channeling Reiki energy into your body. Each person’s experience is unique, however most commonly, you will feel your body relax and you will feel warmth coming from the practitioner’s hands. You may even fall asleep during the session. As the energy moves through your body, you may feel different physical sensations arise or you may feel emotions stirring. This is all very normal and a natural part of the healing process.